Rotary dismembator DRS is intended for crushing of rubber, wood waste and other materials. The acceptable fraction of processed raw materials can be 1-5 sm, Dismembrator crushes it in a crumb of 1-2 mm. 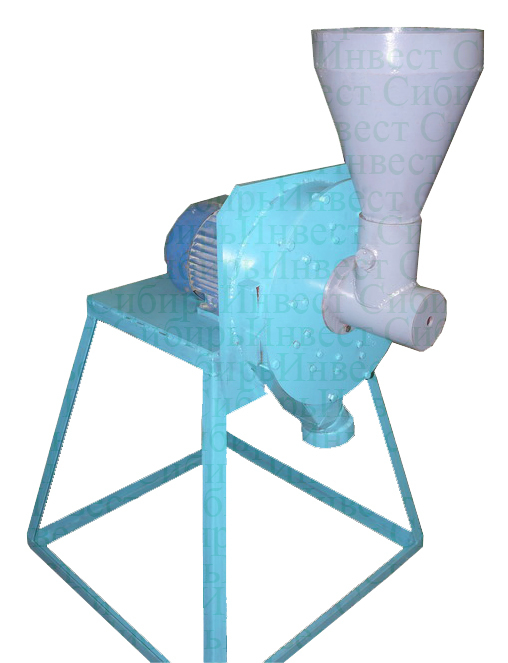 DRS it is very effective for the rubber crumb dispersing received after crushing of autotyres or other dimensional GMRG in Shredder Sh1R or Milling utilizer UFSh. In technological line of autotyres processing module DRS located to comminution mills and also can be combined by separators for allocation cord components of autotyres. Technical characteristics of some dismembrators models DRS are resulted in the table.